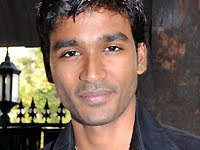 all indian cinema: Dhanush to romance Tamannah! Guess that Tamannah has turned as the new lucky charm of the Tamil Heroes. Right from Vijay to newcomer Karthi, everyone is paring-up with the white beauty. Post ‘Ayan’ the girl is celebrated as the industry’s dream girl. Her market is running to its peak and she has bagged a number of prospective projects in her kitty. Tamannah has got ‘Paiyaa’ with Karthi, ‘Sura’ with Vijay, ‘Thillalangadi’ with ‘Jayam’ Ravi and now pairing opposite Dhanush again after ‘Padikkadhavan’. On the other hand Tamannah who has been successful in building up a steady career graph is rumoured to have increased her fee. The grapevine is abuzz that Dhanush will be romancing Tammanah for his next film directed by Hari. This untitled flick is expected to start rolling once Hari is back from ‘Singam’ with Suriya and Dhanush completes Vettrimaran’s ‘Aadukalam’. It’s worthy to mention that Dhanush’s remake of Telugu hit ‘Ready’ opposite Genelia has started rolling just recently.